Following on from the release of Jimmy Hall, Ken Loach embraced his retirement in 2014. After a career spanning more than 50 years, he was blatantly entitled to a long rest. After the UK’s general election result in May 2015 Loach confirmed he was returning to make one more film, a response to his distaste at the actions of the Conservative party. Loach’s return to work earned him his second Palme d’Or at the 2016 Cannes Film Festival after winning the astute award ten years prior for The Wind that Shakes the Barley. Having turned 80 this year, Loach’s socialist fire burns as brightly as ever. I doubt he is a director who would announce retirement lightly, making his return all the more meaningful. 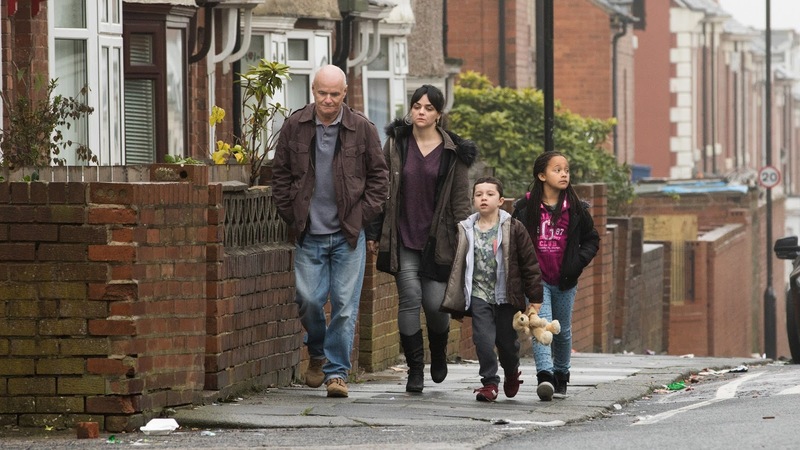 He has returned to bring us I, Daniel Blake – an infuriating and harrowing exploration of the constant battles and isolation brought upon those forced to rely on the UK benefits system. A widowed carpenter finds himself entangled in a labyrinth of company jargon and counter-productivity after suffering from a heart attack. Medical professionals confirm he is unfit for work but the Job Centre says otherwise. What lies in store for Dan is infuriating, non-nonsensical policies and hours waiting on hold to call centres. Both over and the phone and within the grey walls of the job centre there is a concerning lack of human empathy – with employees making mandatory life altering decisions based on a range of complex, difficult situations. One such situation introduces Dan to Katie, a single mum of two and a Londoner who’s been relocated to Newcastle away from everything she knows. Between them blossoms a precious and compassionate friendship which grows with the increasing, unjust cruelty they experience on state welfare. The anger that I, Daniel Blake brought upon me was close to overwhelming. 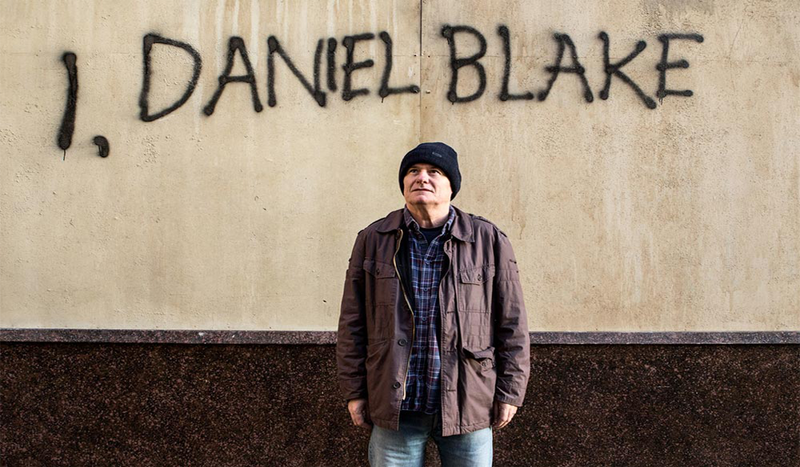 Deeply emotional and furious at its core, I, Daniel Blake also manages to be occasionally comical – a true celebration of the goodness in people and the strength of the human spirit. Dave Johns instantly makes us root for his protagonist, despite his slightly stilted delivery and the performance he brings. Hayley Squires is a revelation – a woman on the edge, sacrificing her own energy and dignity for her children. Squires captures everything we’ve come to expect from Loach’s actors. She is fragile, raw and real. There are several scenes which will stay with you long after the screening. Katie is a mother, a daughter but first and foremost a woman. I was so impressed with Loach’s handling of this – bringing to light issues that make life for women on the edge of poverty even tougher. With his constant fades to blacks I could see what Loach was intending to do but sadly it distanced me repeatedly from the story. Where Loach intended to allow us time to reflect I found time to be distracted by the individual down the aisle, rustling her popcorn. Technically, I, Daniel Blake is flawed and unspectacular but the story at its heart is enough. Simultaneously furious and delicate, I, Daniel Blake is an important triumph – cinematically and politically. Tags: British Cinema, British Film, Cinema, Dave Johns, film, Film Review, hayley squires, job centre, ken loach, Movie, Movie Review, Politics, realism, Review, Socialism. Bookmark the permalink.